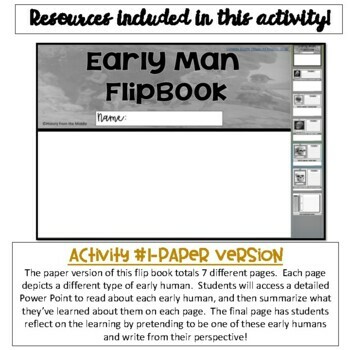 This is a FUN and engaging activity for your study of the major hominid groups in your class. 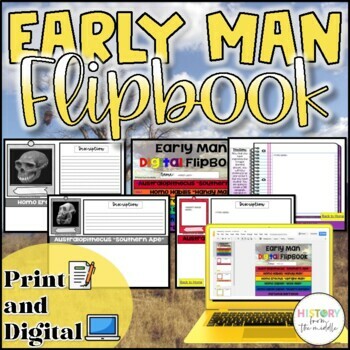 It includes a Flipbook, in both digital and paper version, that depicts the lives of Australopithecus, Homo Habilis, Homo Erectus, Neanderthal and Homo Sapien. 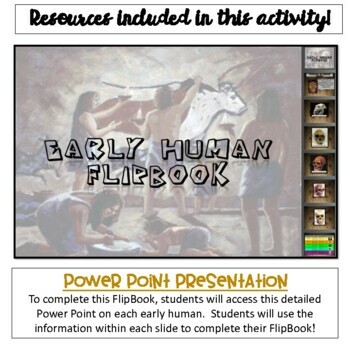 This activity also includes a Power Point that details the info of each of these hominid groups. Enjoy! WANT TO SAVE SOME MONEY? CHECK OUT THESE BUNDLE OPTIONS! 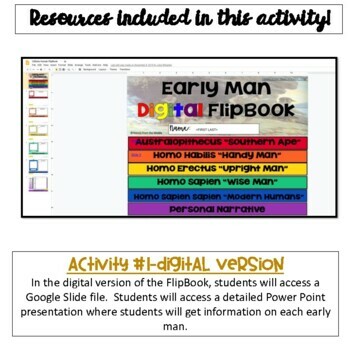 Your purchase includes one copy to be used in a single classroom, if you are looking for multiple copies, be sure to purchase additional licenses.